We are a leading Manufacturer of internal splines from Chennai, India. Owing to the expertise of our skilled and experienced professionals, we are able to offer an extensive range of Internal Splines. The offered splines are manufactured by using high grade raw material with the help of cutting edge technology in adherence with industry norms. Furthermore, these splines are checked by our quality examiners on predefined parameters in order to ensure their quality. 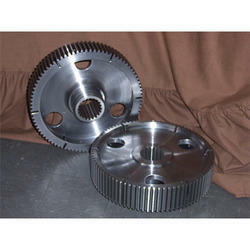 These splines are widely praised among our clients for their excellent features like light weight. Looking for Internal Splines ?